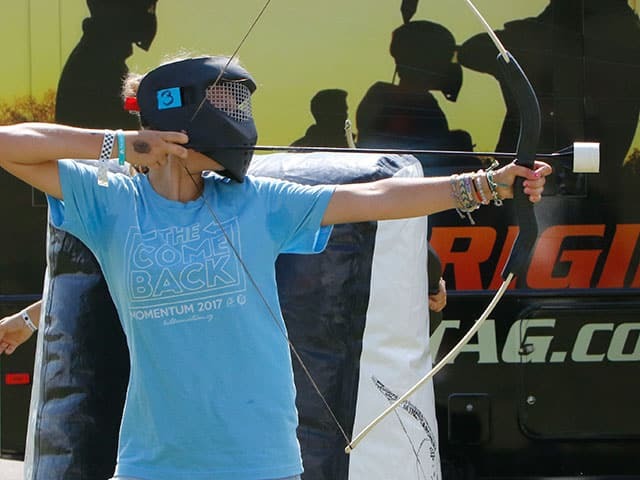 Including Archery Tag® as part of a birthday party, family outing, or corporate event is a fun and refreshing activity. At BattleGR Tactical Games, we offer indoor and outdoor Archery Tag® at the location of your choice in the Grand Rapids area. Our standard packages include options for 60, 90, or 120 minutes of play. All events are private, and we include invitations. Book your event online now, or call (616) 345-0698 for more information. 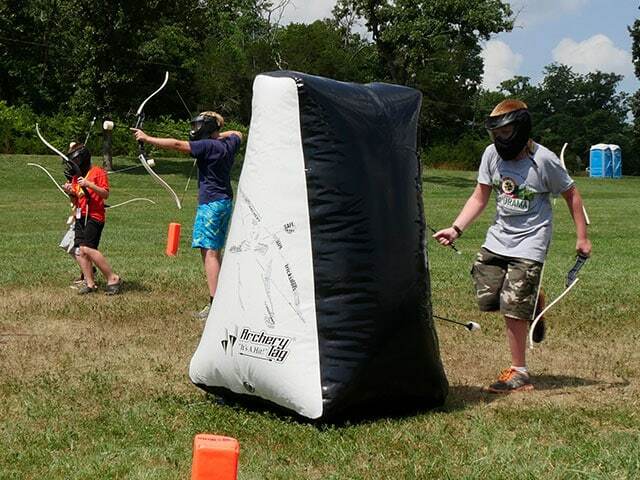 Having an Archery Tag® birthday party is a fun, affordable, and memorable event. All events are private, can be indoor or outdoor, and take place at the location of your choice. Note that Archery Tag® is not available for play at our arena. We currently have three party packages to choose from. Team Bonding – Focuses on fun play and stress relief. Team Building – Includes an in-depth exploration on how your team works together. Starting with an assessment of each employee to gain a better understand of their individual strengths with tips and opportunities on how to work as a cohesive team. Our Team Building experience is focused on helping groups work better with different personalities and to give them the tools to they need to be successful. If your company is looking for a way to build a stronger team foundation and cadence in the workplace, BattleGR Team Building program can help you achieve those goals. Contact us today for your customize package. 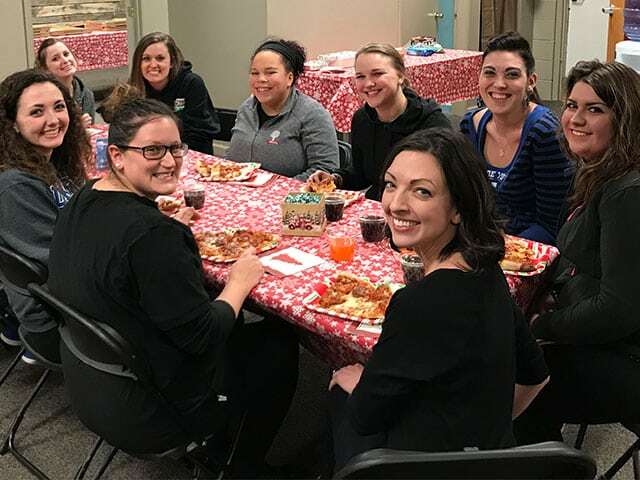 Located in Grand Rapids, MI, BattleGR serves the West Michigan area including Grand Haven and Grandville by turning your normal party or event into an exciting, lasting memory. In addition to Archery Tag® events, we offer indoor laser tag and mobile laser tag games. Book online now, or call (616) 345-0698 for more information.